Throughout history, individuals and organizations have attempted to understand work behavior. By the turn of the twentieth century, industrial psychology emerged as a way to meet these needs scientifically. This part of psychology applies scientific methods to theoretical and practical questions about work behavior. One of the first of the industrial-organizational (I-O) psychologists was likely Hugo Munsterberg, a German trained by Wilhelm Wundt and chosen by Wil­liam James in 1892 to head the Harvard psychology laboratory. Munsterberg conceptualized and studied selecting the best worker for the job and designing jobs to best it workers. He applied experimental methods to practical business problems in his comprehensive text, Psychology and Industrial Efficiency (1913). His work was largely ignored until recently. An individual commonly credited as the founder of industrial-organizational psychology is Walter Dill Scott, also trained by Wundt. Scott’s status derives from his early texts on advertising and his founding of the first personnel consulting firm. Another main figure whose involvement was indirect was an industrial engineer, Frederick W. Taylor. While Munsterberg and Scott concentrated on individuals, Taylor focused on the organization with his Principles of Scientific Management (New York. 1911). Taylor’s ideas served as a lightning rod for many early I-O psychologists who objected to his engineering approach. Almost all psychologists were employed in academia in these early years. Cattell worked at Columbia, Munsterberg at Harvard, Scott at Northwestern, and Bingham at Carnegie Tech (where he started the first specialized training program). Applications usually consisted of businessmen soliciting the help of academics for personnel selection. Through the accomplishments of these early psychologists, the field made significant contributions to the American efforts in World War I. The needs of the military to select, place, and train thousands of recruits—as well as the need to staff domestic munitions factories—provided opportunities and challenges. Rob­ert Mearns Yerkes headed the group of psychologists who concentrated on testing recruits, while Scott and Walter Van Dyke Bingham formed a group that focused on selection of officers. These efforts resulted in the first large-scale group intelligence testing (army Alpha and Beta tests) as well as the development of personality, psychopathology, and skills checklists. The advances made by industrial-organizational psychologists during the war were transformed into practical applications in the years that followed. Examples include the early studies of illumination and productivity at the Hawthorne Electric Works by Elton Mayo. Several psychologists (including Marion Bills and Henry Link) entered corporations as personnel consultants. Additional landmarks in industrial-organizational psychology during this period included establishment of training programs and sophistication of statistical techniques. Following Bingham’s pioneering program at Carnegie Institute of Technology (1916-1924), Ohio State University developed a doctoral specialization during the 1920s. as did the University of Minnesota and Stanford. Regression and factor analysis techniques added to the statistical tools available to researchers and practitioners. The 1930s brought the Great Depression and with it, social disruption (unemployment) and Roosevelt’s New Deal. This situation provided new topics of study (for example, effects of unemployment on self-concept), decreased use of employer testing and training, and increased emphasis on the human condition. During this era, the later results of the Hawthorne studies highlighted the importance of social relations and employee attitudes in the workplace, helping to create the human relations movement in research and management. This paradigm allowed for the inclusion of the worker’s perspective—in addition to the employer’s perspective—on workplace issues. It also brought attitude surveys and structured interviews into use as research tools. Noteworthy is the fact that industrial-organizational psychology was also relatively uninfluenced by the hegemony of behaviorism. Other advances included the formation of the Minnesota Employment Stabilization Research Institute and research conducted by Kurt Lewin and associates. Lewin especially addressed a range of topics pertinent to industrial and organizational psychology, such as leadership effects on productivity, job satisfaction, group dynamics, and expectancy theory. Additionally, it was out of the work of Lewin and his students that “action research” emerged. In this strategy, researchers and participants collaborate to develop knowledge. The number of universities offering doctoral programs with emphases on industrial and organizational psychology increased during this period, as did the number of I-O psychologists (there were approximately 100 individuals in the United States who identified themselves as such by 1939). During the late 1930s, the Dictionary of Occupational Titles first appeared, as did the American Association for Applied Psychology—an organization founded by and for applied psychologists. World War II brought more of the same opportunities and challenges to I-O psychologists as had World War I. Bingham and Yerkes were again called on to guide efforts for the military. Psychologists succeeded in developing several research programs of significance to the understanding of work behavior. Among these were the Army General Classification Test (AGCT) and the Aircrew Classification Test Battery, assessment center methods, and innovative performance appraisal methods. Just as after World War I these advancements were “translated” to business settings. Additionally, the war provided opportunities for a wide range of academic and applied psychologists to work together. These relationships enriched the overall knowledge base of I-O psychology and facilitated postwar associations, including the merger of the American Psychological Association and the American Association for Applied Psychology into the present structure of divisions organized around subdisciplines. Other developments during this period included racial integration, gender issues, and an increased emphasis on Lewinian industrial social psychology. The latter brought the organizational branch of industrial and organizational psychology into full partnership with the industrial vein. Training programs in I-O psychology were also affected by events following World War II, with substantial increases in the number of new doctoral programs, the expansion of existing programs, and establishment of master’s degree programs. The graduates of these programs increasingly found work in corporate and government settings, and to a lesser extent in consulting firms. The primary opportunities remained in academic and military positions. 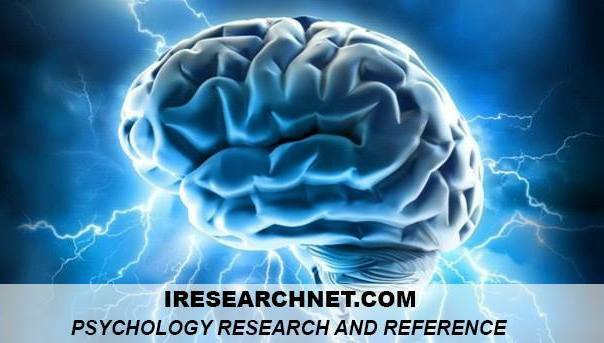 By 1960 there were approximately 756 I-O psychologists in the United States. The 1960s brought many new forces to the world of work, including the civil rights movement, diversity issues, the Vietnam War, exponential advances in technology, a decline in national productivity, recognition of problems in the educational system, and a shift of focus in business from manufacturing to service, which presaged the information age. This list of forces captures the breadth and seriousness of the changes of this time period. These individual changes, as well as the pervasive tendency of modern culture to rapid metamorphosis, are redefining the science and work of industrial and organizational psychologists. The range of topics under consideration grew exponentially from this time forward, making a comprehensive listing almost impossible. Great strides were made in the area of job analysis, with improvements in both theory and application. The Position Analysis Questionnaire (PAQ), the functional job analysis method, and the behaviorally anchored rating scale (BARS) are exemplary developments during the 1960s and 1970s. Validation and test fairness became essential considerations, with I-O psychologists having to defend tests in the face of antidiscrimination laws. An emphasis on cognitive abilities and interest in meta-analyses of test validities were two of the responses to these challenges. On the organizational side of the spectrum, motivation became a main line of research. Vroom summarized his translation of expectancy theory in 1964. Locke proposed his goal setting model in 1968, and Deci conceptualized intrinsic motivation in 1975. Two major research programs, one at Cornell and the other at the University of Minnesota, developed scales for assessing job satisfaction. Other organizational research focused on job enrichment, organizational withdrawal, job involvement, and the reciprocal effects of organizations and persons. By 1980 there were approximately 2.000 industrial and organizational psychologists in the United States, nearly a threefold increase over two decades. Doctoral training guidelines were published by APA in 1965, and the number of programs increased dramatically throughout this period. Training emphasis shifted from an academic-scientist orientation to a scientist-professional model. Employment settings for I-O psychologists were primarily in universities, corporations, and government agencies; however, there were increases in external consulting opportunities. From the mid-1980s to the present, the workplace change dynamic of the earlier periods not only persisted, but accelerated. In addition to producing several topics of interest to industrial and organizational psychologists, this situation has generated interest in the nature of change itself, the forces that create the changes, and individual reactions to change. The nature of change itself has received a great deal of attention, particularly in terms of psychological dynamics. Raymond Katzell (Triandis, Dunnette, & Hough, 1994) identified and elaborated 12 metatrends in industrial and organizational research. Temporal factors associated with work are his first major trend. Forces creating change that have been identified by I-O psychologists include economic concerns in industry due to decreases in productivity relative to the global market, increased diversity in the work force, turbulence in the environment, and the accelerated pace of mergers and acquisitions. The topics identified above continue to be of major interest to the field; however, they are now being considered in novel ways. For instance, item response theory and structural equation models have emerged as important statistical tools for studying multidimensional structure and change. Additionally, the cognitive paradigm provides a basis for understanding and influencing performance appraisal, leadership, and abilities. Also, personality has again arisen as an individual difference variable—this time with more predictive power than in the past on the basis of meta-analytic evidence. This resurrection is due to improved measurement of the predictor constructs and better selection of criteria. In addition to new approaches to classic topics, new topics appear. Labor relations has begun to receive attention by industrial and organizational psychologists it had historically been lacking. Worker health has received a great deal of recent attention, perhaps because of economic forces (such as health care costs) as well as investigation of worker-job it. On the organizational side of the discipline, issues of level in research and open-systems approaches have become guiding concepts in the field. Also, nonwork issues such as role conflict and child care have reached the research literature. By 1997, there were 3,139 industrial and organizational psychologists in the Society for Industrial and Organizational Psychology. Training programs are increasingly professional in tone, perhaps following the lead of clinical psychology. Most of the I-O psychologists in the United States are involved in the practice side of the discipline, with a continued migration of consultants from in-house to external positions. Academia provides employment for approximately one third of I-O psychologists, which represents a major shift since the foundation of the discipline. The history of the field represents many earnest attempts to understand and influence behavior, broadly conceived, within organizations. In historical terms, great persons have seized opportunities provided by the environmental press, most notably during times of national crisis. Evaluatively, there have been persistent critics of the scope and generality of research findings, of the tendency of psychologists to be seen as agents of management, and of the dominance of methodological expertise at the expense of theoretical understanding. However, an exercise for the interested reader is to consider the constants and changes represented in three generations of handbooks, from the Handbook of Applied Psychology (Fryer & Henry, 1950) through Dunnette’s first Handbook of Industrial and Organizational Psychology (1976) and Triandis, Dunnette, and Hough’s (1994) second edition. Further historical details are contained in two special issues of the Journal of Applied Psychology (Katzell & Austin, 1992; Koppes, 1997). Clearly, there are many more opportunities than threats, but the latter cannot be dismissed. The future of I-O psychology may depend on the discipline’s ability to withstand centrifugal forces—those that provide diversity to the field but also disunity individual scientists. Additionally, the scientists and the practitioners in I-O psychology must work more closely if all are to survive. The issues of technology must be addressed carefully yet decisively in order to keep the discipline abreast of the challenges in the workplaces of the future, and globalization will be a persistent force influencing the field in the decades to come. Coovert, M. D. (Ed.). (1997). Fiftieth anniversary of SIOP [Special issue]. Industrial-Organizational Psychologist, 34 (3). Dunnette, M. D., & Hough, L. (Eds.). (1990-1992). Handbook of industrial and organizational psychology (Vols. 1­3). Palo Alto, CA: Consulting Psychologists Press. Fagan, T. K.. & VandenBos, G. R. (Eds.). (1993). Exploring applied psychology: Origins and critical analyses. Wash­ington, DC: American Psychological Association. Ferguson. L. (1962-1965). The heritage of industrial psychology. Hartford, CT: Finlay Press. Fryer, D. H., & Henry, E. R. (Eds.). (1950). Handbook of applied psychology (2 vols). New York: Rinehart. Katzell, R A., & Austin, J. T. (1992). From then to now: The development of industrial-organizational psychology in the United States. Journal of Applied Psychology, 77, 803-835. Koppes, L. (1997). American female pioneers of industrial and organizational psychology during the early years. Journal of Applied Psychology, 82, 500-515. Munsterberg. H. (1913). Psychology and industrial efficiency. Boston: Houghton-Mifflin. Triandis. H C.. Dunnette. M D.. & Hough. L (Eds.). (1994). Handbook of industrial and organizational psychology (2nd ed .. Vol. 4). Palo Alto. CA: Consulting Psychologists Press. Viteles. M. (1932). Industrial psychology. New York: Norton.